INDUSTRYNEWS Re-Source Industries Announces the Winner of its "Roll The Dice" Contest At the IDA Show in April, Re-Source Industries offered attendees the chance to roll the dice to win a $500 Merchandise Credit. Contestants got one throw on a pair of stress ball dice to roll double 1s or double 6s. Those who did were entered in a drawing for a $500 merchandise credit. The winner, Rose Quality Garage Doors of Murfreesboro, TN, was drawn from all qualified entrants. Others who qualified for the drawing but didn't win the $500 received 15% off of a future order with Re-Source Industries. And all other participants won a discount of 5% or 10% off a future order with the company. Congratulations Rose Quality Garage Doors! Cassidy Bowen, Sales Representative, with the Merchandise Certificate presented to Rose Quality Garage Doors of Murfreesboro, Tennessee. Zoller Consulting Inc. Brokers to the Garage Door Industry Zoller Consulting Inc. 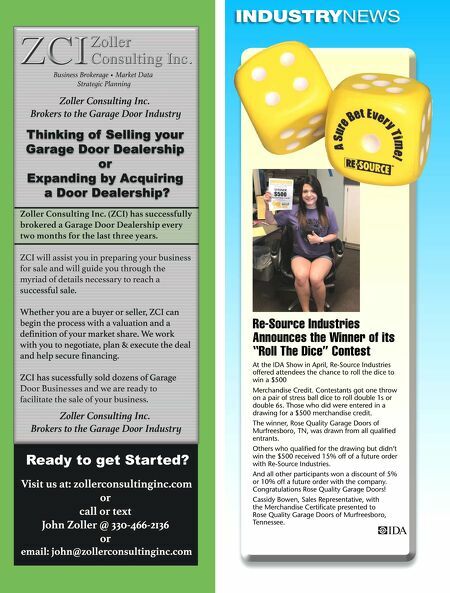 Brokers to the Garage Door Industry Business Brokerage • Market Data Strategic Planning Zoller Consulting Inc. (ZCI) has successfully brokered a Garage Door Dealership every two months for the last three years. ZCI will assist you in preparing your business for sale and will guide you through the myriad of details necessary to reach a su successful sale. Whether you are a buyer or seller, ZCI can begin the process with a valuation and a definition of your market share. We work with you to negotiate, plan & execute the deal and help secure financing. ZCI has sucessfully sold dozens of Garage Door Businesses and Door Businesses and we are ready to facilitate the sale of your business. Ready to get Started? 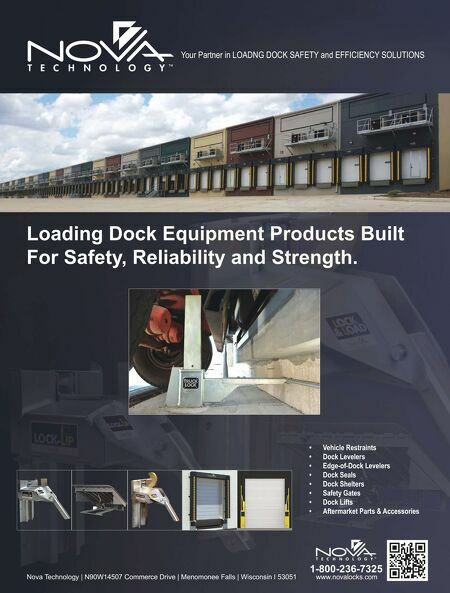 Visit us at: zollerconsultinginc.com or call or text John Zoller @ 330-466-2136 or email: john@zollerconsultinginc.com Thinking of Selling your Garage Door Dealership or Expanding by Acquiring a Door Dealership?